Air Force Emblem - The Air Force Emblem was introduced in January 2000 and each design element has a different meaning. The upper wings represent strength. The sphere represents the globe. The area where the wings meet is a star. The star forms three diamonds (at the bottom of the star), each representing one of the three core values of the Air Force: Integrity First, Service Before Self, and Excellence in All We Do. 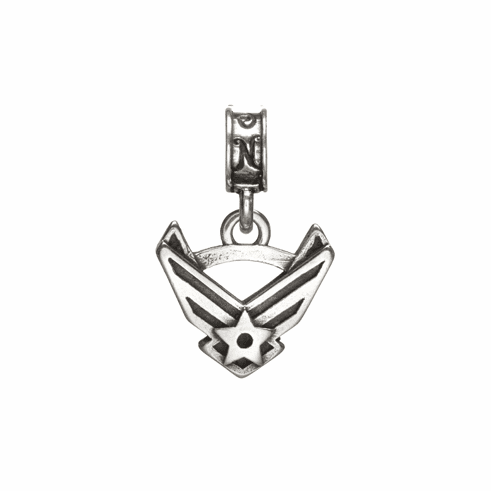 Our Air Force Emblem charm is crafted in .925 sterling silver.